In the midst of managing and creating your travel plans, it’s easy to lose sight of the main point of visiting Hawaii: having fun! The details involved in planning and traveling to an unknown destination can be mind-boggling and quite stressful for some people. Never fear, though—there are always loads of advice from those who have been in your shoes. 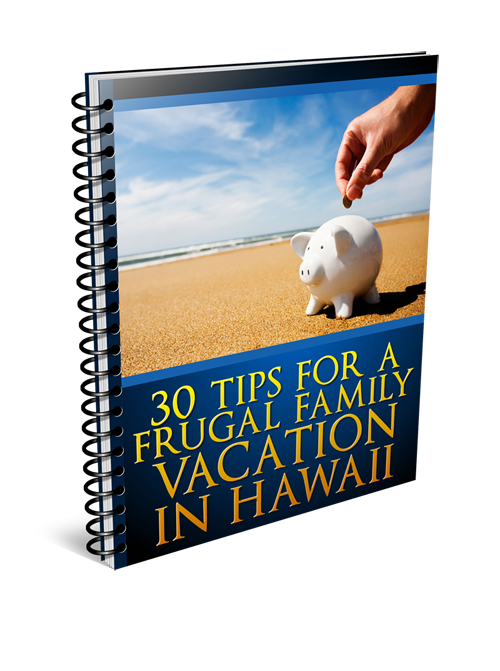 In this post, I’m going to share a few of my top tips for a great Hawaiian vacation. One thing I always advise folks who go to Hawaii is to be prepared for “Hawaii time.” You might’ve heard the phrase in a sarcastic remark, but residents in Hawaii do have a laid-back attitude when it comes to living life in general. “Hawaii time” can affect how people keep appointments, get from place to place and even walk, among other things. One place you’ll notice “Hawaii time” is in a long line, either at a restaurant or store. For instance, if you find yourself in a pharmacy in Hawaii, you’ll notice pretty quickly that local residents move at a slower pace, chatting up neighbors and employees while they shop. Another place you’ll notice “Hawaii time” is on the sidewalks! You’ll find local residents literally shuffling everywhere and in no real hurry to get to their destination. Visitors from fast-paced cities on the mainland, such as New York City or Chicago, may find this local habit frustrating—but in the end, it’s best to embrace the slower pace of Hawaiian living. After all, you’re going to Hawaii to get away from it all! Don’t worry if you’re dealing with professional tourism companies, though; they’re usually on time. Another tip I offer to visitors is to be flexible. This tip is definitely applicable to any trip. 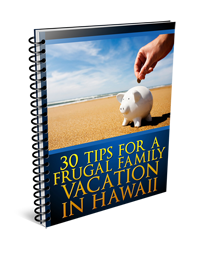 You’re probably going to have a good game plan, some kind of itinerary, before you head to Hawaii. However, once you land in Hawaii, there could be unforeseen circumstances on your horizon, good and bad. For example, let’s say you book a sunset cruise in Waikiki for a particular day. Unfortunately, once you get to the pier, the weather isn’t cooperating. What a bummer! The best thing you can do is shake off the disappointment and do something else. Go shopping, see a movie, anything—the possibilities are endless with a good activities desk at your hotel. Don’t waste your precious vacation time on being angry that your plans didn’t go as you expected. Along those same lines, my advice is to be spontaneous! Try not to plan your vacation hour by hour; it can get tedious and stressful to adhere to that strict of an itinerary. Instead, book a couple of things ahead of time, but leave the rest of your days free. Leaving an open schedule is the key to spontaneity. If the sun and surf are especially excellent on a particular day, you can book a surf lesson on a whim. If the weather is clear and breezy, perhaps it’s a great day to go for a hike. Don’t worry about tours becoming full before you’re able to book them. Hawaii’s a prime tourist destination, and with that are dozens and dozens of tourism companies running tours all day, every day. You won’t have a lack of choices when it comes to booking tours. If you want to book the best-value tours and activities in Hawaii and get the most for your money, check out Hawaii Activities, where you can book more than 500 of the hottest and best-value tours in Hawaii! Want to fly to a different island? You can do that on a whim, too. Hawaiian Airlines operates inter-island flights every day. If you want to fly from Oahu to a popular island, such as Maui or The Big Island, there are usually flights every half-hour. A mere 20-minute flight can whisk you away to a totally different landscape. It’s quite easy to remain flexible and leave room for spontaneous adventures. Approach your Hawaiian vacation with a relaxed attitude and a willingness to try new and unplanned things, and you’ll be sure to have an incredible time.